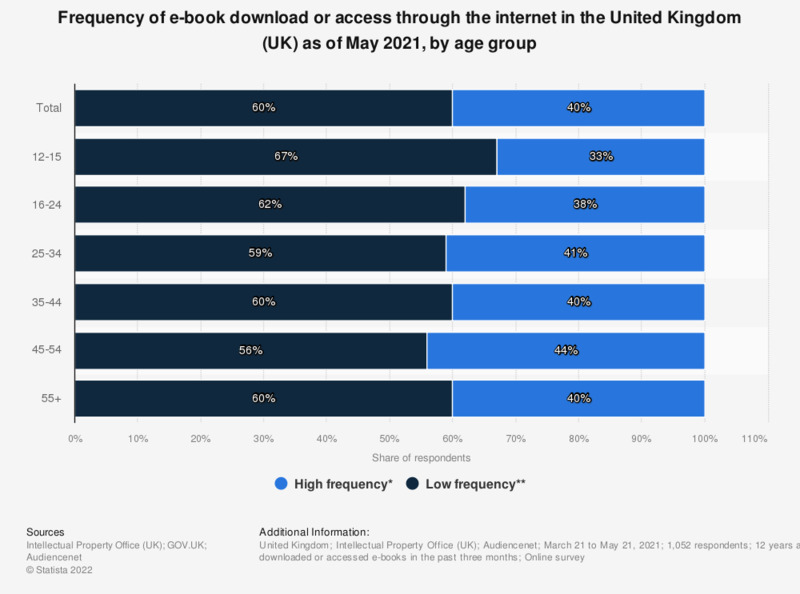 This statistic displays the frequency distribution of e-book consumption through the internet in the United Kingdom as of May 2018, by consumption method. Among respondents who downloaded e-books, four percent reported doing so "most days". * n (downloaded) = 393; n (accessed) = 293; n (shared) = 34.